mFortune Casino received a score of 84/100. Online casinos – seen one, seem them all, right? It certainly feels that way with the market dominated by the big names like Playtech, Dragonfish and Microgaming all powering big-name sportsbooks and established casinos offering NetEnt, IGT, WMS and Novomatic games. Well mFortune is here to show you that not all casinos look and feel the same. No, really! 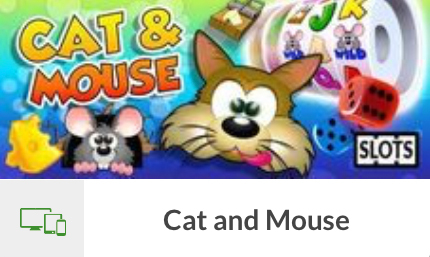 The mFortune brand is owned and operated by InTouch Games Ltd, a UK-based company, now listed on the London Stock Exchange, that also owns the PocketWin brand. InTouch have been around since 2003 when they started out as a leisure machines manufacturer which sold its games to bookies and pubs. 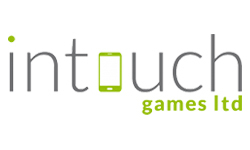 After the introduction of the UK smoking ban, Intouch decided to branch out into mobile gaming and launched mFortune in 2008.
mFortune was one of the first online casino sites designed with mobile players in mind. 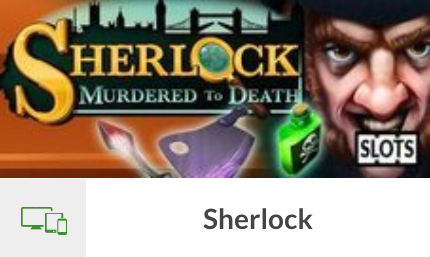 InTouch is also an innovator in that it stocks exclusive games and runs on its own software platform, so you really won’t find any other casino that offers you a similar experience. Whilst mFortune may not be one of the best known of the UK’s online casinos, they can still punch above their weight and have rubbed shoulders with the likes of Gala Casino, Leo Vegas, Will Hill and Sky Bet in the mobile gaming category at the EGR awards in 2015. 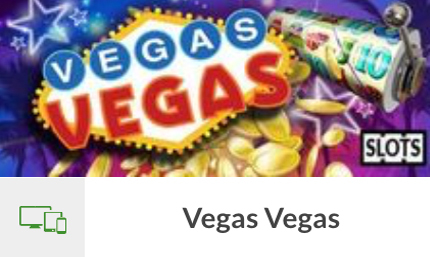 Package all this together with a nice and tidy £5 free, no deposit offer with a 1x wagering requirment, and you’ve got a real gem of a casino. So why not give it a try? 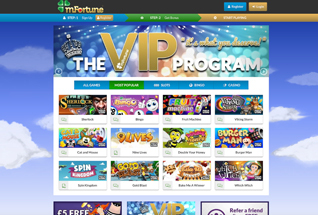 Sign up to mFortune today and you’ll automatically receive a £5 free, no-deposit bonus. Your bonus can be played on any game in the casino, and with a 1x wagering requirement, this is a nice little offer. The only restrictions listed in the terms are that your withdrawals on any winnings are restricted to £200. If you enjoy the experience and want to spend your own money you will be eligible for a 100% match on your first deposit. For those without deep pockets the good news is, you’re only required to deposit a minimum of £3 to qualify for the bonus. If you’re feeling a little richer though, you can claim up to £100 in bonus cash on your first deposit offer. All bonuses here are subject to a 1x wagering requirement on the bonus and the deposit, and the bonus money itself is always non-redeemable – i.e. non-withdrawable. 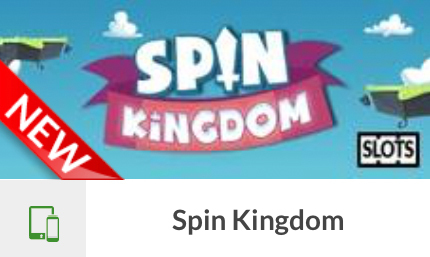 You simply play it until it’s all gone, or it disappears if you withdraw your winnings in the meantime. 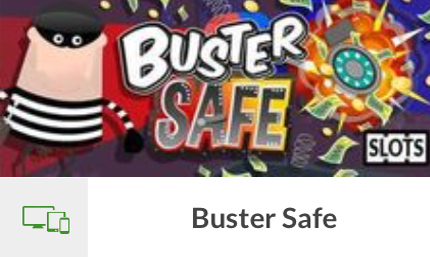 Finally, it’s good to know that should you take up these bonus offers you can play your money across any game in the casino, as well as in the bingo rooms. Sounds pretty fair to us. As you’ve probably gathered by now, mFortune offers a unique and quality gaming experience. 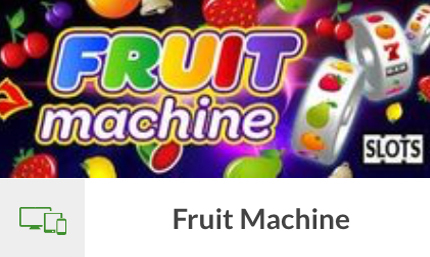 If you’re tired of playing the same old games from Netent, Playtech and Microgaming, then mFortune is a great place to try something a little bit different. And as well as being unique, many of the games here also feature generous jackpot prizes. 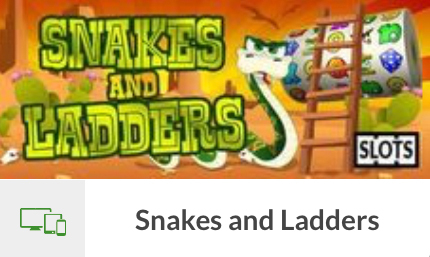 You’ll usually spot new slot games being added to the mobile lobby every couple of months, and there are all sorts of genres to choose from. Many of the slots have comical undertones like Cash in the Antiques, Mucho Money, Bake Me A Winner, and Alien Farm Invasion. The casino games offer less choice but include popular titles nonetheless including Hi-Lo Poker, Blackjack, European Roulette, and Texas Hold’em Poker. 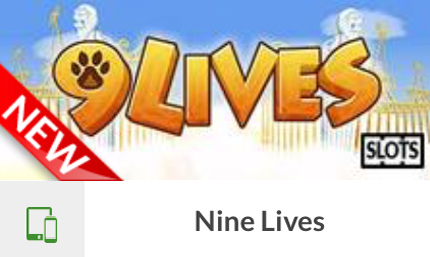 The bingo games are accessed via a separate mobile app, but if you’re partial to playing bingo on-the-go, we can highly recommend giving it a try, particularly as each of the eleven bingo rooms contains a jackpot of up to £56,000! InTouch started out with just three table games and one slots game, but the company’s portfolio now boasts twenty-five exclusive slots, four table games, and a mobile bingo site with eleven rooms. The suite continues to grow and we have no doubt mFortune will consolidate its position as one of the best alternative options for casino players online. Unlike many of the big casino and sportsbook brands, mFortune do not cater to the Live Casino market. This is in keeping with their brand which is perhaps more appealing to casual gamers than the traditional casino market. As a regular player at mFortune casino you will be eligible for a 10% bonus on EVERY deposit you make after your first deposit. These bonuses are always capped at £100, but still, knowing that each time you deposit you are getting that little bit extra is always a plus. Again, your regular 10% deposit bonus is subject to only a 1x wagering requirement, and your bonus money is, of course, non-redeembable. mFortune Casino also offers a pretty nice Refer a Friend offer. That’s a free £5 bonus for every mate you successfully bring to the table, and a further 50% of their first deposit as a bonus in YOUR account too. These bonuses are subject to the same conditions as the first deposit and regular deposit bonuses. For those who like to spend big, mFortune has also created a bespoke VIP scheme to reward High Rollers. That includes an automatic upgrade to VIP status for anyone who makes an initial deposit of £500 or more, and this comes with an immediate £250 bonus (with NO wagering requirements). Further perks include birthday bonuses, exclusive preview play on new game releases, extra weekly bonuses, invites to hospitality events, and other personalised gifts and rewards. mFortune Casino offers a wide range of payment options in its cashier. As you would expect from a site that positions itself for the mobile market, mFortune give you the option to charge your deposit to your phone bill, with options to top up your account with £3, £5 or £10. This innovative mechanism is also secure and avoids the need to give over debit or credit card details. Pay by phone deposits are limited to £30 per day. Should you choose to pay by a more conventional method, there are the usual options of Visa, Mastercard, Paypal, Skrill and Paysafecard. mFortune have invested in developing a clean and functional site that operates well across all platforms, and is particularly well optimized for mobile and tablet. The results are good. This is not necessarily a particularly glitzy or glamorous brand, but it does have a fun, casual games feel that is great for play on the go. Finding everything you need, from Customer Service, to cashier and games is always just a click away. 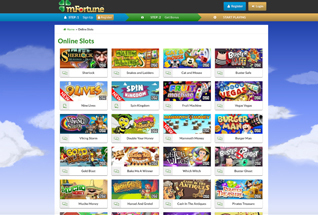 There is no question that mFortune have been pioneers in the field of mobile gaming, and their website is beautifully built to cater for the tablet and mobile market. It works well on Android and Blackberry, as well as the popular iPhone, and is easily accessed by desktop as well. With a UK license and listing on the London Stock Exchange, Customer Service is an important responsibility for mFortune. They are proud to tell customers on their site that they operate a 24/7 call center service 365 days a year. To get in touch there is a direct line number, an email address, and also a call back option whereby an agent will call you back when you send a text. mFortune Casino is licensed and regulated by the UK Gambling Commission.